If you didn't find the answer to your question - contact us. 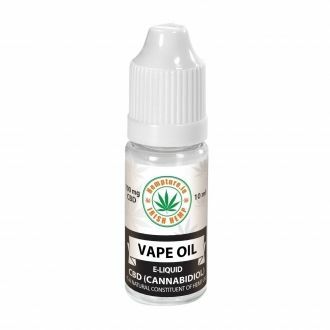 What is hemp oil / CBD oil? Hemp Oil or CBD Oil are products derived from Cannabis Sativa plants with high levels of cannabidiol in hemp seed oil (CBD + Hemp seed oil). These oils also contain very little to none THC - max. amount has to be less than 0.2% as per EU regulations. This product does not have any psychoactive effects. Aside from CBD hemp oils / cbd oils also contain full spectrum of other naturally occurring ingredients like: Omega 3, 6, 9, Vitamin E, other phytocannabinoids (including CBC, CBG + many more) and terpenes. CBD oils are organic, natural, vegan, gluten free, non-GMO with no preservatives or artificial colours. CBD - Is it legal? None of the products we offer have any psychoactive effects. All products contain none or less than 0.2% THC. Can I ask you for a medical advice? No, we do not provide any medical advice as we are not professional medical practitioners. Although CBD oils are sold as food supplements it is still always best to consult your GP before starting new supplementation or if you have any concerns. CBD oils are currently sold as food supplements therefore no medical claims can be made about them. You can read more on this legal issue by visiting Food Safety Authority of Ireland. We advise to contact your GP or make your own research from trusted sources. What is 'hemp'? Is it the same as marijuana? Both hemp and marijuana are in fact cannabis plants. 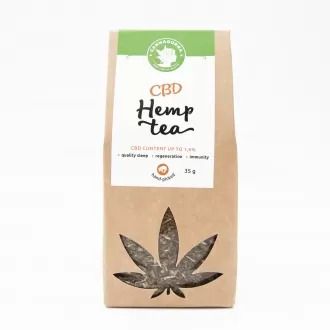 The main difference is that hemp (or sometimes called industrial hemp) contains very low levels of THC (below 0.2%) and higher levels of CBD which makes it non-psychoactive. Marijuana would refer to cannabis strains that contain high THC levels of 1-22% that give it the psychoactive effect. What is the the best dosage for ... ? The best approach suggested by the producer is personalization of dosage by up-titration method. It is a method where you gradually increase a dose to find an optimal one. For example: in week 1 you take 1 drop three times a day, in week 2 - 2 drops three times a day etc. CBD is safe, but we do always recommend to consult your GP before starting new supplementation. Also, CBD is sold as a food supplement therefore no medical claims can be made about the product. You can read more on this legal issue by visiting Food Safety Authority of Ireland. What should I buy as a first time user? Most of our customers start with 3% or 5% CBD oils or CBD capsules, but with higher percentage there is more CBD absorbed to the body (we offer drops up to 15% CBD and raw extracts up to 30%).